Cape Cod Trailer Storage rents office trailers. 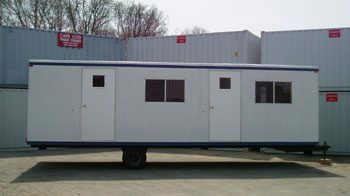 We offer single and double office trailers, as well as combination office/storage trailers. Most of our office trailers are equipped with air conditioning, heat, electrical outlets, plan tables and overhead lighting. 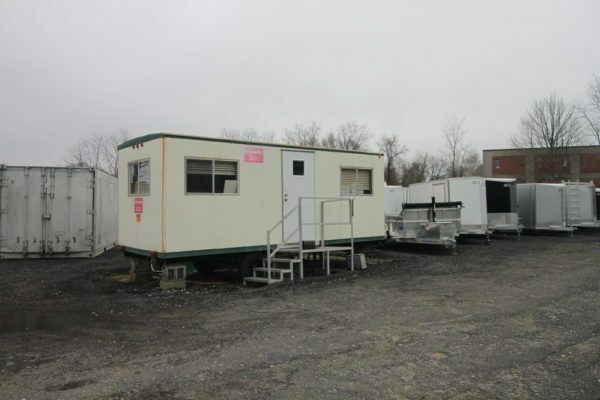 We offer ground level office trailers, which provide convenient office entry/exit with no stairs. For those looking for a more traditional mobile business office, mobile office trailers are also available. For these, we offer OSHA approved steel stairs for rent. 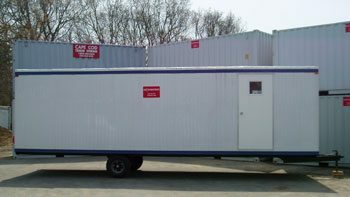 If your business needs require a mobile or temporary office, our office trailers are your solution. Let us know what you are looking for and we can find the office trailer for you!